1950'S Wrought Iron black floral and vine motif rectangular dining table. 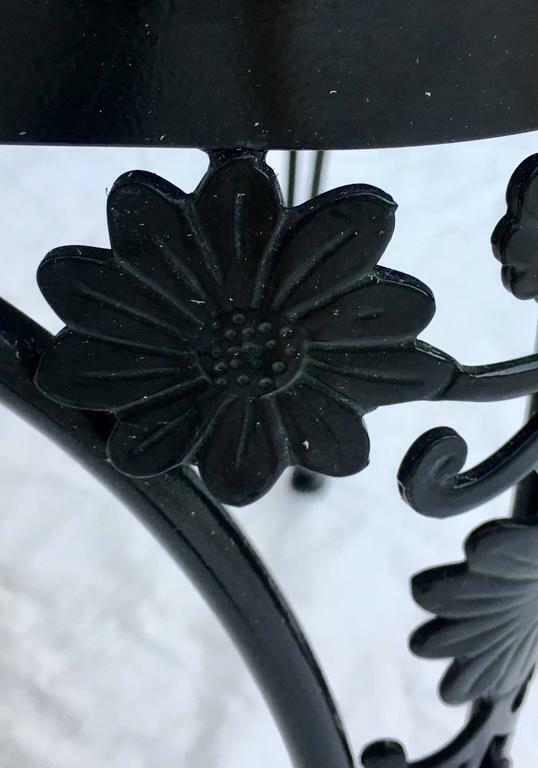 Features a daisy motif on curved legs. White laminate top, slightly warped. table base is in excellent condition. Top is slightly warped and easy to replace with a variety of material options. Mid-Century Modern spun fiberglass lattice slipper chairs by Russell Woodard. Newly painted in the original white. These chairs are light weight and can be used in or outdoors.